Super Bowl Three-Cheese Spinach & Artichoke Dip. All the hype about the Super Bowl has got me SUPER excited…to make snacks for everyone coming over. I didn’t even know who was playing until about yesterday. To be fair, there are way more commercials for the puppy bowl. But my knowledge of football is neither here nor there. Let’s get down to the good stuff…the FOOD. I have not been to one Super Bowl party that hasn’t had some sort of velvety, cheesy dip. 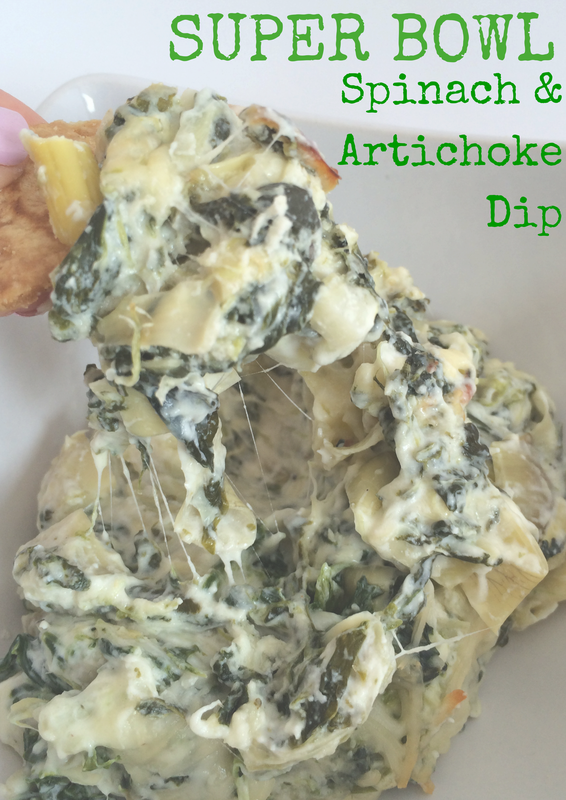 I decided to go for a yummy Three-Cheese Spinach & Artichoke Dip! Plus, there is just something so mouth watering about a salty, cheesy dip and a cold beer. White Chocolate & Chocolate Chip cookies. THE first post is happening! What better way to start than with these chewy cookies? 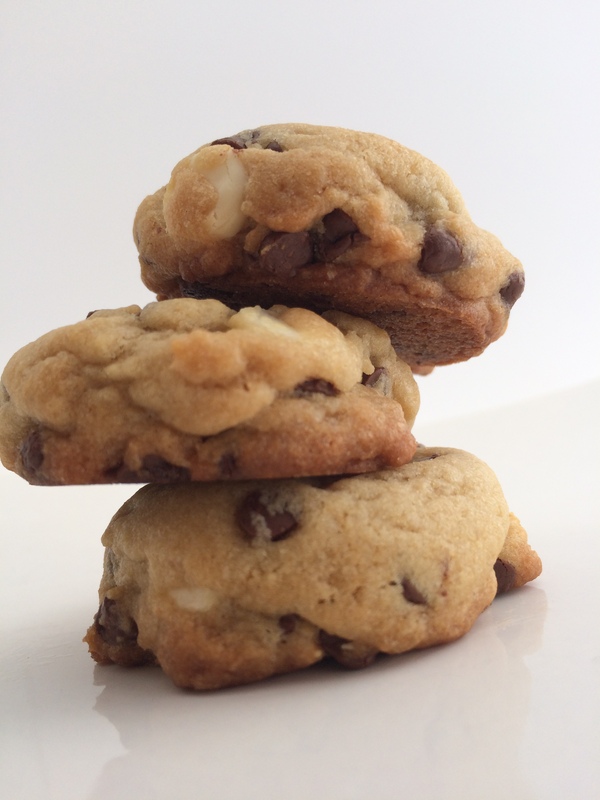 They are mixed with mini, creamy chocolate chips, and sweet white chocolate chips for extra texture. Since my boyfriend enjoys white chocolate anything, he suggested to throw some in. It was the best idea for a spin on a classic cookie. I have made hundreds of chocolate chip cookies but nothing quite as delicious as these here. These perfect size cookies will satisfy that mid-afternoon or mid-night chocolate, sweet craving. For this recipe I used dark brown sugar vs. light. 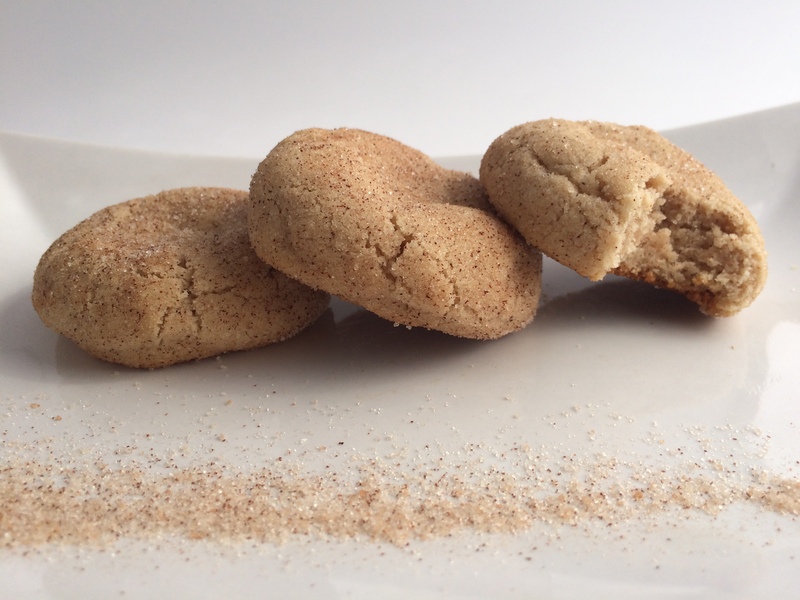 Light brown sugar has a less intense flavor being it contains less molasses. I wanted a deep aromatic taste to these, so I opted for dark brown sugar. Of course, you may use light brown sugar if you fancy. Stay tuned for mouth-watering recipes that will knock your socks off…like these cookies.